I know this one Julia Sarr Jamois is wearing isn't exactly a maxi skirt - but the amazingness of this lazer cut leather skirt is just endless. Ah I sound all fashion and trying to be cool... I'm not. I just don't know what to say other than please will someone buy it for me? This blue one isn't bad at all - and although this particular one is designer and uber expensive I have handily found out that Topshop do a practically identical one, so family, you CAN actually buy me this one. Below are some more to give you all a helping hand. 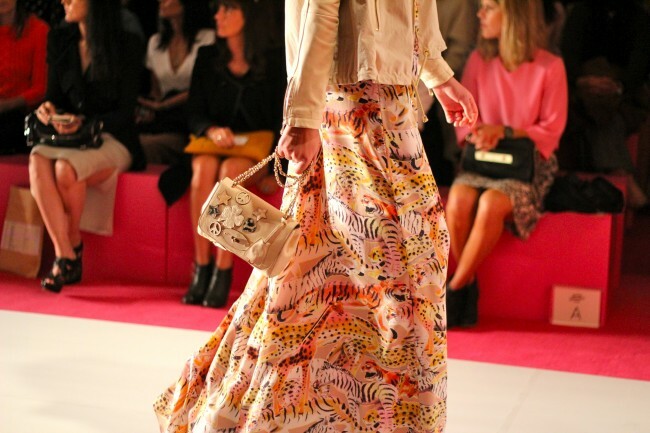 Finally, I couldn't do a post on printed skirts and not use the excuse to show you one of the nicest blogs around. ThankFifi is a hidden gem, written by a lovely girl up in Glasgow. She also has the cutest pooch in the world. Here is Wendy in a great Zara skirt, click on the link in the photo to have a further browse. Finally, the Marie Claire Blogger of the Year nominations are running at the moment - please vote for South Molton St Style - only a year old, but what a year - I'd love to be nominated! Click here to submit your entry - takes 2 seconds! 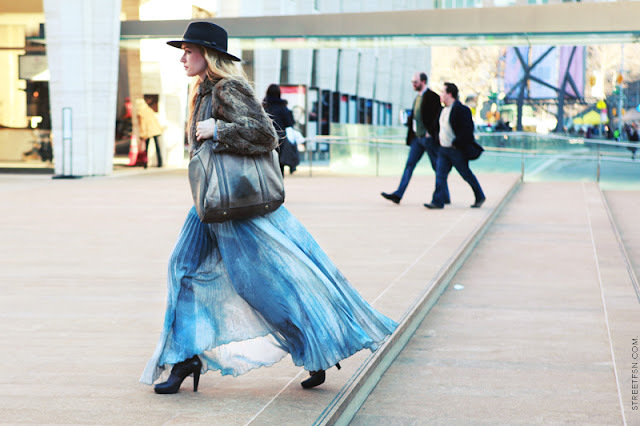 I am just gushing over maxi lengths right now. I bought a printed maxi from Reiss and I love wearing it. Pictures here are just further inspiration - I had better check out this TopShop version too! i love this look -- it's seasonless! 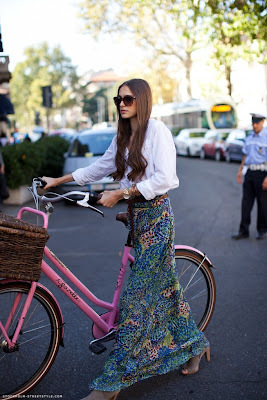 love the blog and maxi skirt inspiration! The Blue printed one IS Topshop. The Lady in question probably just didnt wanna admit it! I have it from last winter. Maybe try eBay?